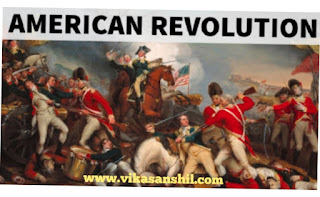 American Revolution History is biggest Revolution. The Revolution inspired all the world which was under the influence of Colonies at that time. 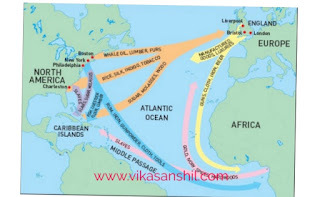 1492 Columbus reached West Indies Iceland. 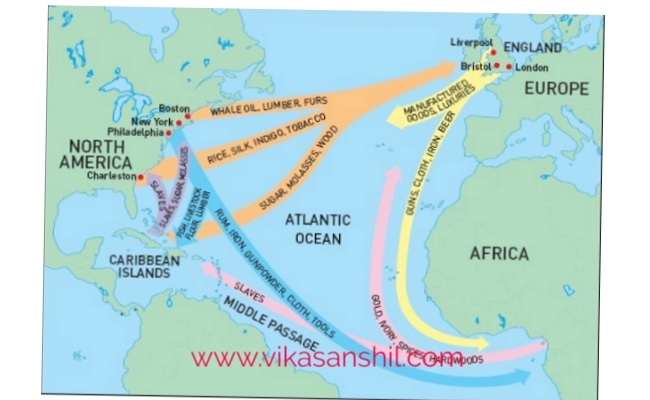 13 English colonies were established from 1607 to 1732. Causes of American Revolution Can be broadly divided into following way. 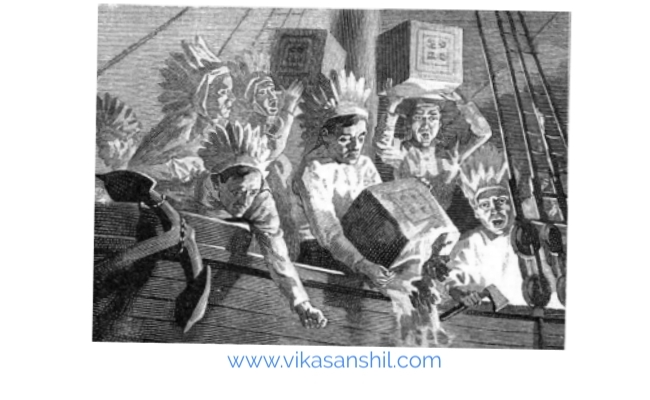 Sugar Act 1764 – Sugar to be exported§ only to England and considered as unpopular act. Organisation was led by Samuel Adams . They had support from/of and controlled countryside, while cities were bitterly contested. 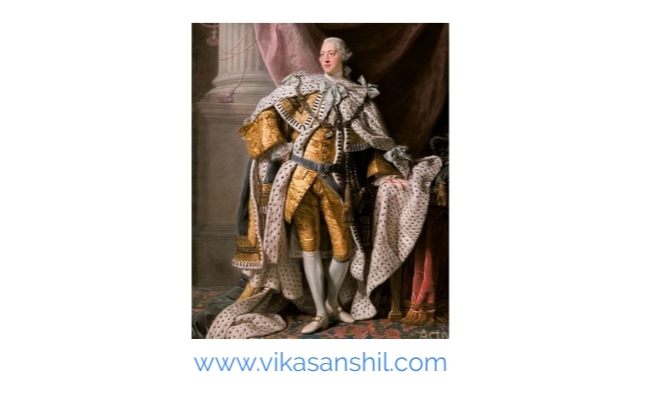 King George 3 was petitioned in July by the Congress to stop oppressive kind laws and avoid full blown war, but he declared the congress as traitors. By early 1776, in all 13 colonies, Patriots had overthrown their existing current governments. 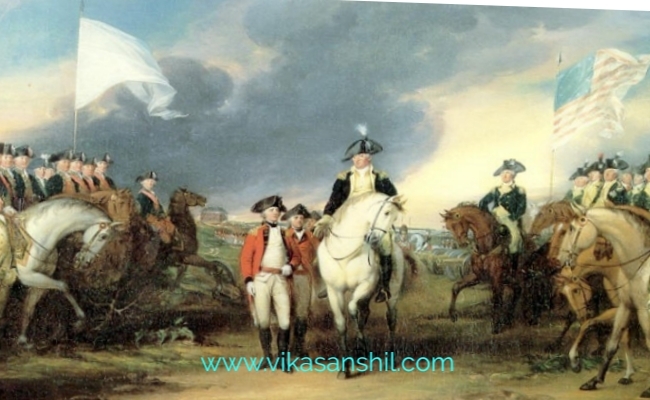 Closing courts and driving away to the British officials. They had elected legislatures and new constitutions were also drawn up. They declared that they were states now, not colonies of British. On 4th of July,1776 Golden Day – The Declaration of Independence was adopted at Philadelphia city. The 2nd Congress oversaw the effort of war and the Patriots were soon supported by French empire, which nearly bankrupted itself supporting the Americans. American independence recognized by Great Britain here. Around 100 thousand soldiers died fighting with colonies mostly due to disease. 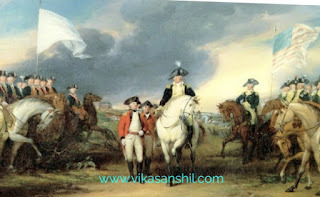 British Empire changed its policies in the world over Pitt’s India Act 1784, Cornwallis’ reforms in India. System of checks and balances established. 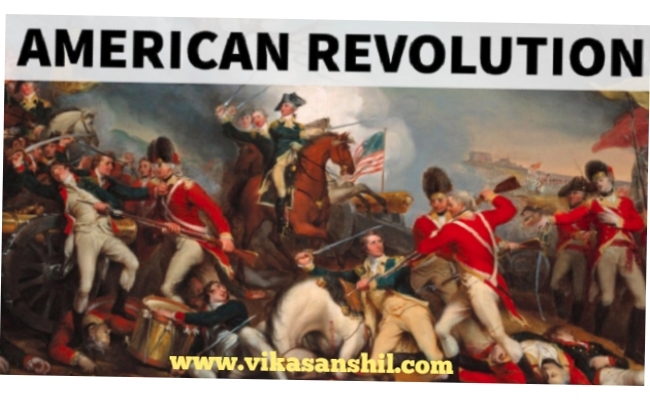 So, It is complete analysis and important points about History of American Revolution that you should know to become Vikasanshil.